Cheap Weekend Fun in Boston for September 20-21, 2014! 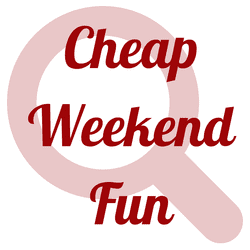 There are a lot of fun and cheap things to do this weekend in Boston! Here are a few suggestions if you are looking for some fun and free local events! Allston Village Street Festival: Sunday, September 21, 2014 from 12-6pm. Enjoy this multicultural festival with music, international foods, public art, giveaways, and much more! HarborArts Festival 2014: Saturday, September 20, 2014 from 12pm to 12am in East Boston. Enjoy local art, live music, and much more! Free but donations welcome. Shellfish Shindig: Sunday, September 21, 2014 from 2-4pm at Legal Sea Foods at Charles Square in Cambridge. Grab $1 oysters from Legal Sea Foods at the Charles Square location. 11th Annual Revels RiverSing: Sunday, September 21, 2014 in Cambridge. Join thousands of voices in song and welcome in fall with this family-friendly celebration! South End Open Studios: September 20-21, 2014 from 11am to 6pm. South End Open Studio is celebrating their 28th year that showcases over 200 local artists this year. Jamaica Plain Open Studios: September 20-21, 2014 from 11am to 6pm. Enjoy local art from Jamaica Plain artists. The Boston Cup: Sunday, September 21, 2014 from 9am to 2pm. Check out this classic car show at Boston Common with select areas free and open to the public. Free Cupcakes at Georgetown Cupcake: Saturday, September 20, 2014 starting at 10am. CBS and Georgetown Cupcake has teamed up to promote a new CBS series with free cupcakes starting at 10am, while supplies last! Sunday Fundays at Faneuil Hall: Every Sunday in September, Faneuil Hall is having a Sunday Funday with entertainment from local colleges from 12-4pm! Also, the Patriots have their home opener this weekend and if you are looking for a place besides home or Gillette to catch the game, here’s a few budget-friendly bars with NFL deals. Hope you have a great weekend and Go Pats! !